Lock in a great price for Auld Norlande - rated 9.3 by recent guests. We couldn't have had a warmer welcome from Amanda. I had been a little concerned about having a number of hours between disembarking from the ferry and check in, but a quick call to Amanda sorted that out and we were able to check in at 11.30 instead of 2.30, which was a great help. 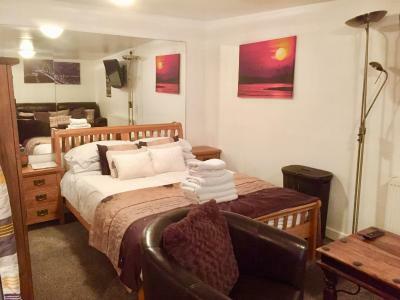 The guest house is spotlessly clean, cosy and comfortable. Would definitely return. Amanda ( our host) was very welcoming on our early check-in (as requested) our room was beautiful and spotlessly clean. Very convenient for Lerwick, very friendly and helpful owner. As I was on my on it was handy having the microwave, fridge, kettle and toaster in the room, so I could tuck into breakfast. The location was great and the on street parking was free and ideal. Loved the speaker. The very warm welcome of landlady Amanda! Her lovely assitance for any question we ever had. The close location to the city center and the variaty of the continental breakfast. Absolutely recommendable! Hostess really helpful. Location really good especially for Up Helly aa. Room immaculate and very comfortable. Fantastic welcome, very high quality facilities (amazing shower!) and excellent continental breakfast left for you to help yourself in your room. Couldn't have asked for more. Superb host, very friendly, couldn't wish for more. The continental breakfast had everything we needed. It was our wedding anniversary but we didn't mention it. However, we brought our cards to display and when we returned from our day out, wine had been left for us. A lovely, personalised gesture. Also we had (long lost) family connections to the area, the host and her family went out of their way to find telephone numbers and we managed to have a small reunion. Wonderful. Offering free WiFi, Auld Norlande is located in Lerwick. Guests can enjoy garden views. At the guest house, the rooms have a wardrobe and a flat-screen TV. Rooms are equipped with a kettle, while some rooms come with a kitchen with an oven. All units will provide guests with a microwave. 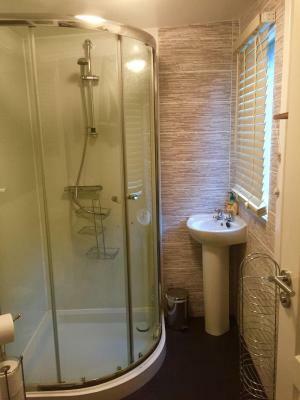 This property is also rated for the best value in Lerwick! Guests are getting more for their money when compared to other properties in this city. Auld Norlande has been welcoming Booking.com guests since 26 Apr 2016. When would you like to stay at Auld Norlande? 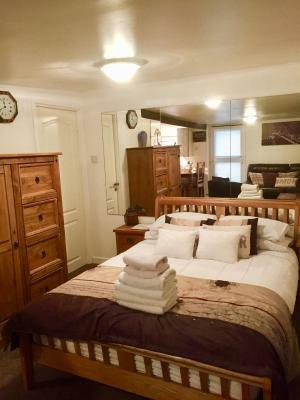 This double room features a electric kettle, sofa and microwave. House rules Auld Norlande takes special requests - add in the next step! Please inform Auld Norlande in advance of your expected arrival time. You can use the Special Requests box when booking, or contact the property directly with the contact details provided in your confirmation. The chickens outside can be a little noisy in the morning. The location was amazing, very close to the center of Lerwick and only a fifteen minute walk from the ferry terminal. Amanda was great and the room was even better than we expected! Friendly welcome, comfortable, no hassle stay. The bed was a bit squeaky. the side beside the speaker. Woken up by a cockerel in the morning! The in-room continental breakfast was really good, with fresh milk, yogurt, fruit etc replenished on a daily basis. This definitely suited us and was our preference over fixed breakfast times. The location cannot be beaten. In walking distance of Lerwick 's centre and with problem-free parking.